A new study suggests that the world's best-selling weedkiller and the GM maize resistant to it are linked to increased risk of tumor growth, multiple organ damage and premature death. The study, undertaken by a team of researchers at the University of Caen, France, and published in Food and Chemical Toxicology, is the first to investigate the long-term effect of Monsanto's Roundup weedkiller, or the NK603 GM maize resistant to it—for which Monsanto owns the patent. Ten groups of ten rats were fed varying combination of maize, GM maize and the weedkiller: three were fed diets containing different proportions of Roundup resistant maize at 11, 22 and 33 percent; three were fed water laced with varying quantities of Roundup; three were fed both; and others were fed normal maize as a control. The study ran over a two year period. The results suggest that rats fed on the GM maize or given water containing Roundup died significantly earlier than rats fed on a standard diet. In terms of hard numbers, 50 percent of male and 70 percent of female rats died prematurely in the exposed groups, compared to just 30 and 20 percent, respectively, in the control group. Perhaps more importantly, the findings show that NK603 and Roundup cause similar damage to rat health whether they're consumed together or on their own. 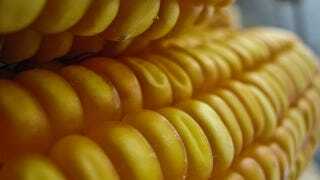 GM crops such as NK603 have previously been approved for human consumption based on 90-day animal trials. However, this study hows that mammary tumors and severe liver and kidney damage occurred in the rats from four months on—which wouldn't have been detected in earlier research.